Our second Australian state enables you to fly Australia's island state, Tasmania, in photoreal detail. 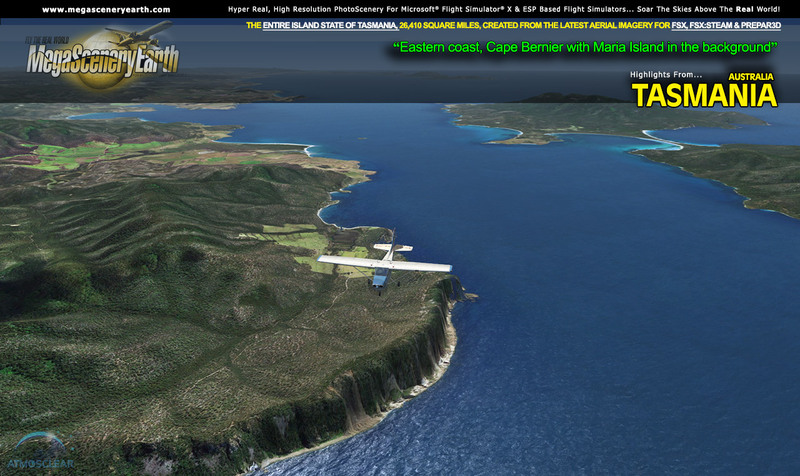 Fly the entire state - SHORE to SHORE - of Tasmania in photoreal detail in 1 meter per pixel resolution throughout. As well as the main state, this title also features all satellite islands of Tasmania enabling Island hopping adventure from the Australian mainland. 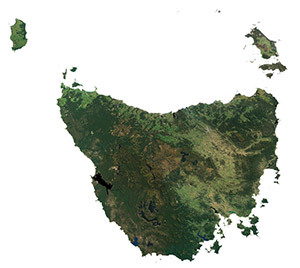 Tasmania is 26,410 square miles and has 11 public airports. As well as Island hopping adventure, you get to fly over a variety of gorgeous Tasmanian terrain from the mountains in the west of the state to the farmland in the east. On top of that you have 1,200 miles of coastline. dozens of islands, rivers, estuaries and bays. This title also includes King Island and Flinder's Island in Bass Strait in between Victoria and Tasmania. You'll see everything that you see in Tasmania in real life in the scenery. The clarity of the imagery is stunning. If you're training to be a pilot, are an actual licensed pilot or just a flight simmer with big dreams of flying, this scenery for the entire state of Tasmania is just what you need to enjoy a part of Australia in photoreal detail, as a training aid or to simply experience flying over a real Tasmania on your PC Sim - FSX, FSX:STEAM or Prepar3D.